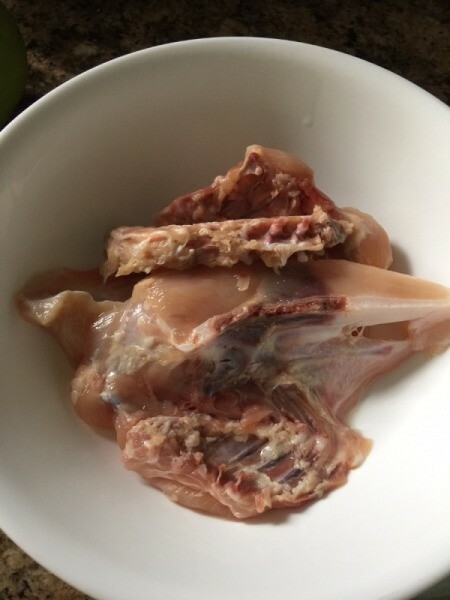 Bone in chicken breast was on sale so I cut the chicken breast off for a different meal. What remained was the bone and a bit of meatIt was was just enough to make this opo squash* chicken soup. 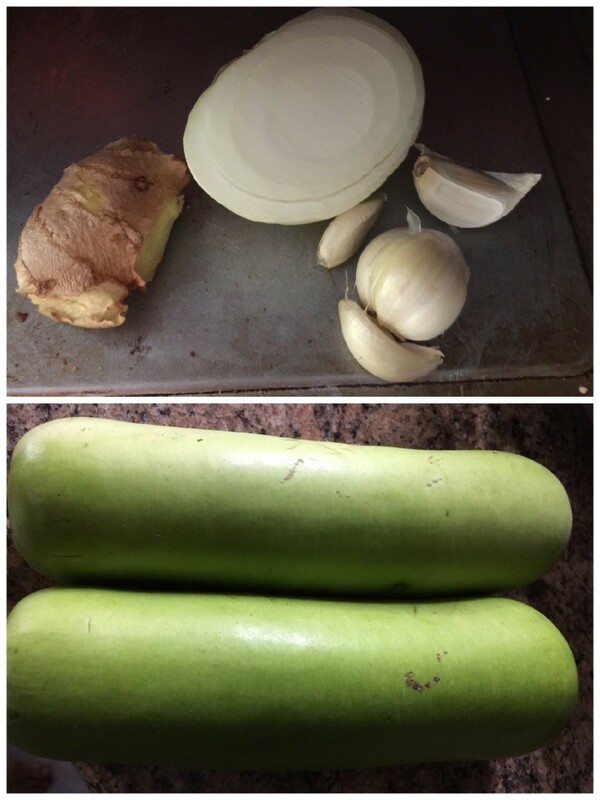 *Opo squash is a native of southeast Asia and actually a gourd. It is also known as cucuzza or calabash. 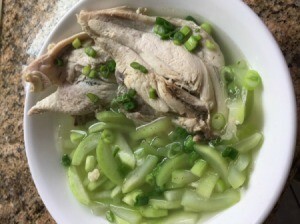 Wash chicken and pat dry. Add a dash of salt and set aside. 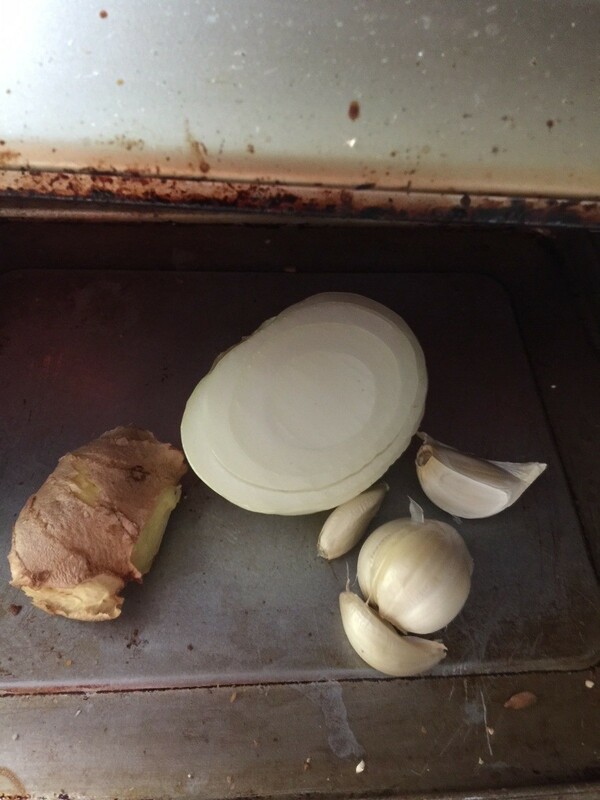 Bake ginger, half onion, and garlic cloves in a oven at 350 F for 10 minutes. 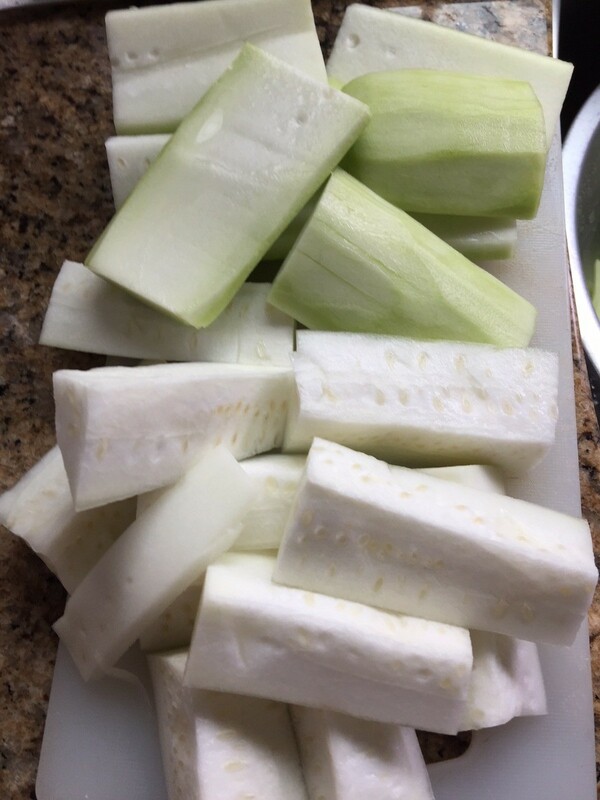 Peel opo squash and cut into desired size. I personally do not like the inside of the opo squash, but it is edible. 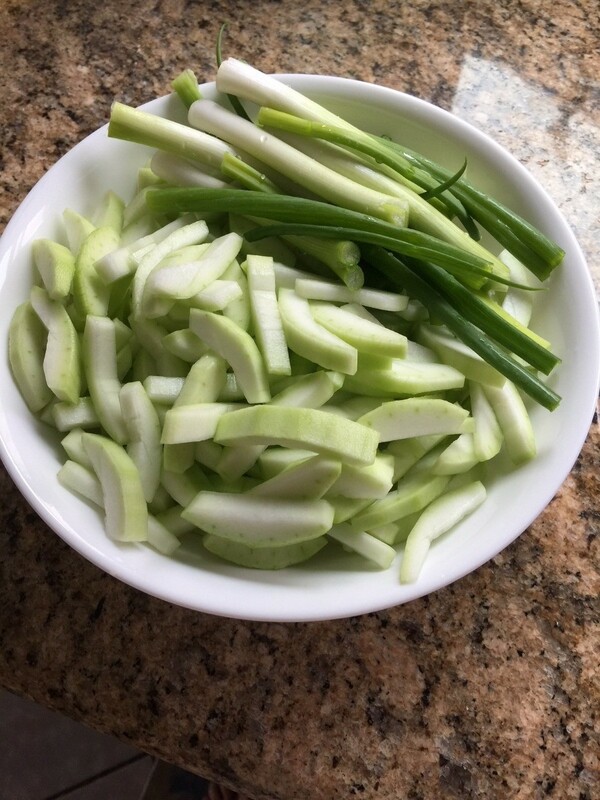 Chop green onions. Boil 4 cups of water over high heat. Once boiling, add ginger, onion and garlic cloves. Add chicken. 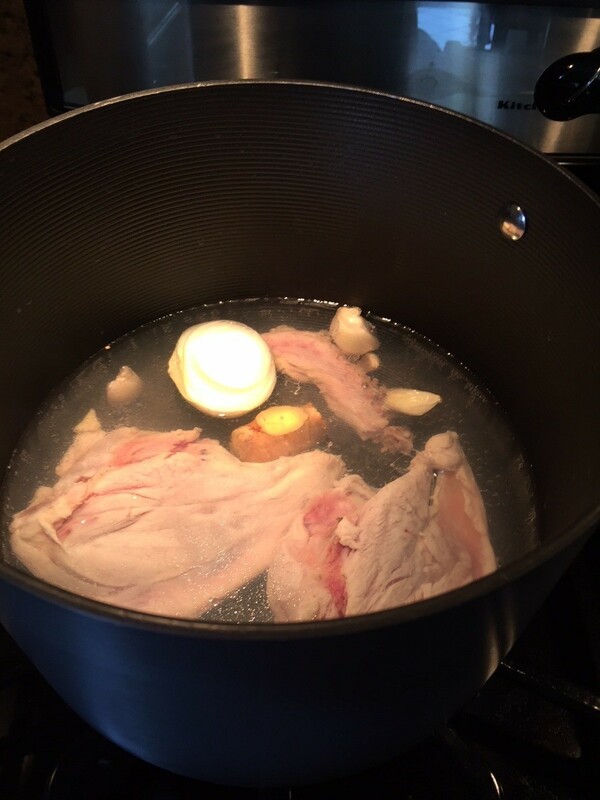 When the chicken boils, remove the bubbles. 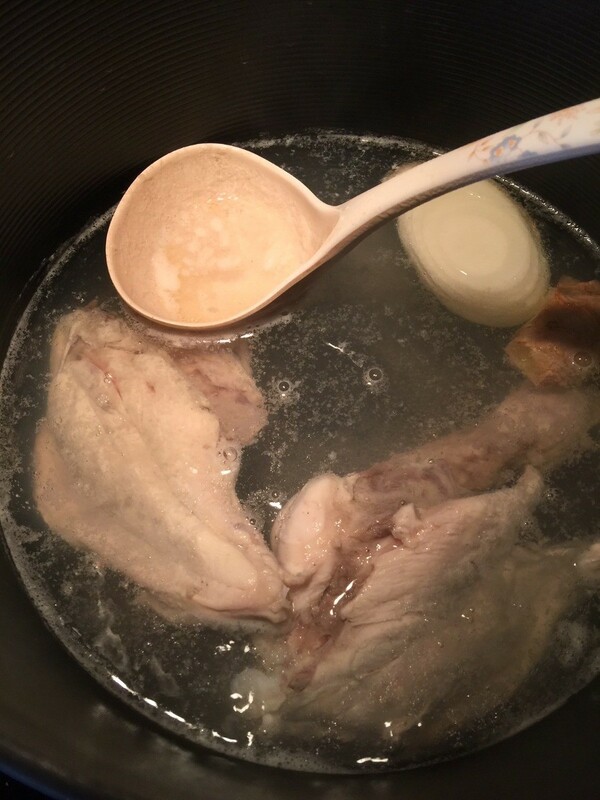 Removing the bubbles will make the broth is clear. Reduce heat to medium for 15 minutes. 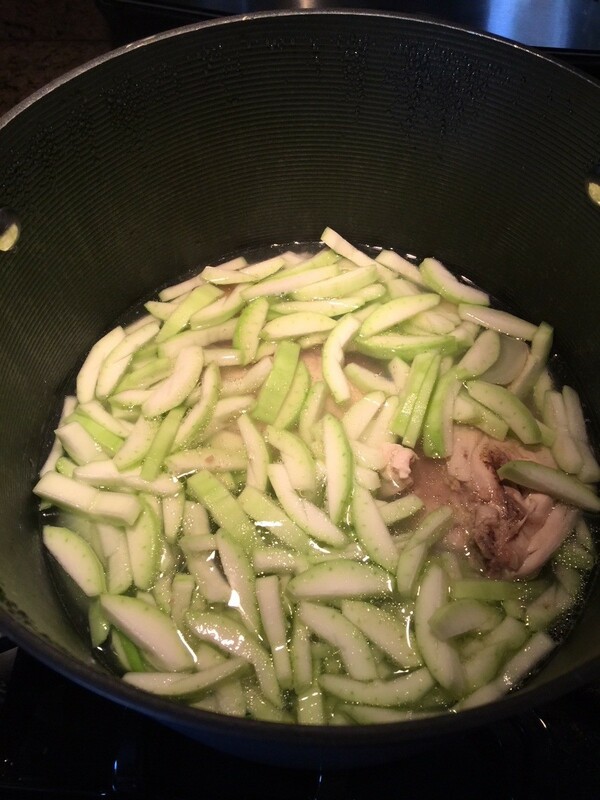 Add fish sauce and opo squash. Cover with lid and cook about 5 minutes. Top off with green onions and dash of salt and pepper. Its ready to serve.